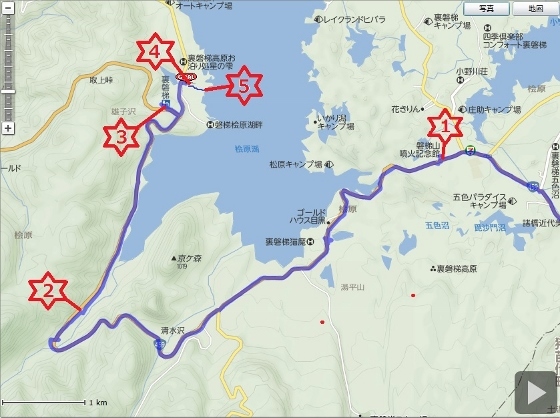 Today I pedaled to Lake Hibara at Urabandai, Kitashiobara Village. On the way I stopped at Memorial Museum for Eruption of Mt. Bandai. And there was 3D World of Mt. Bandai across the road in which I was surrounded by large 3D screens. 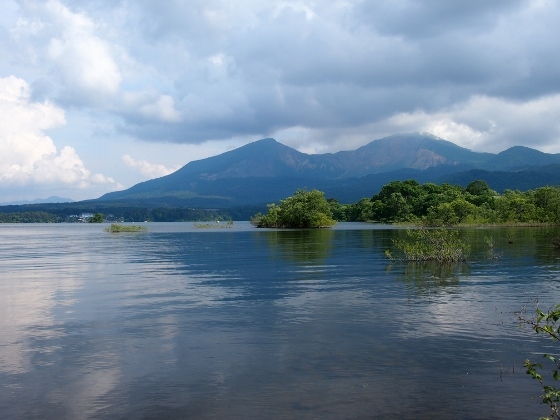 Mt, Bandai had erupted in the year 1888 and the magma stopped the flow of rivers in the northern area and this made many lakes and ponds at Urabandai such as Lake Hibara and Goshikinuma Ponds. Details were explained by the old maps before the eruption and also by 3D pictures. 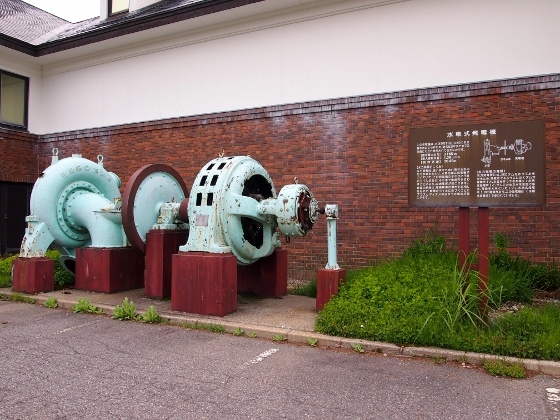 Above photo shows an old water-wheel generator made by Hitachi which had been used for 70 years since 1920. This was displayed just beside the Mt. 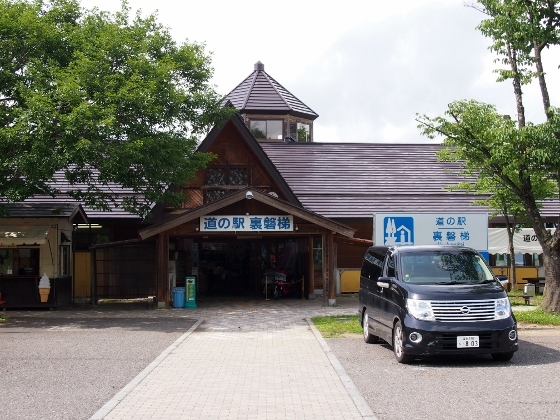 Bandai Museum. 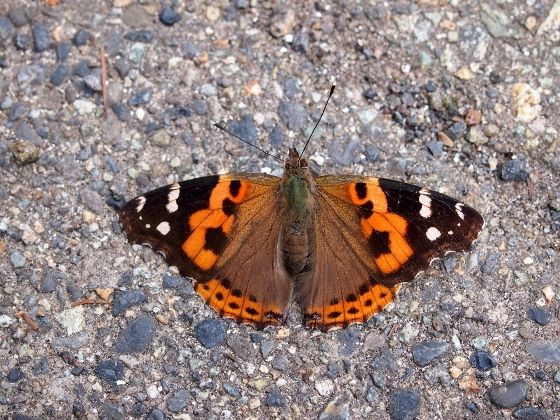 I found a pretty red butterfly on the road. The location was red asterisk 2 in the map. 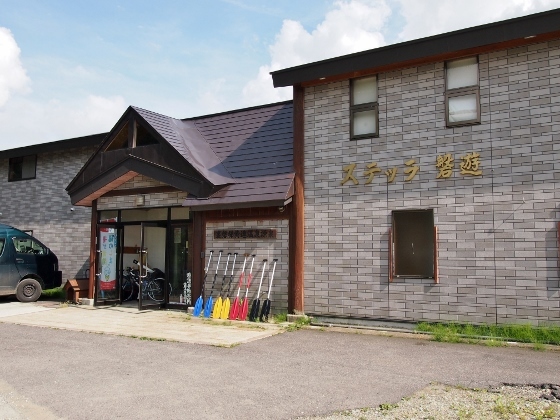 Above photo shows Roadside Station Urabandai located close to the western shore of Lake Hibara. The location was red asterisk 3 in the map. 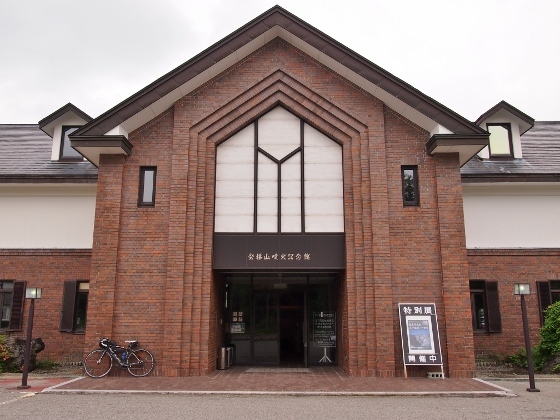 Tonight I stayed at an inn on the lakeshore and I was planning to walk tomorrow morning to Oguninuma Marsh from Oshizawa Entrance nearby. 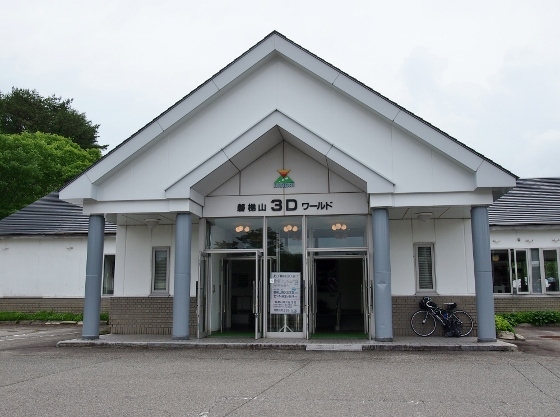 The inn was Stella Banyu which was located at red asterisk 4 in the map. It was a small and clean inn without meals surrounded by great nature. By 200m walk on the grassy nature road from the inn I could get to the shore of Lake Hibara. Above photo shows today's cloudy view of Lake Hibara with the background of Mt. Bandai. The location was red asterisk 5 in the map. Master of the inn kindly showed me to the shore.